A new Australian whisky launched this week. I know, I know: another one. But Starward Two-Fold is different. Very different. Unlike almost every other new release from every other distillery in the country, this new whisky is not some super-rare, super-expensive, single-barrel, single-malt aimed at connoisseurs and collectors. Instead, it’s a large-volume, blended grain whisky aimed at a mass market. And it comes with a competitive price tag of $65 a bottle. When David Vitale founded Starward distillery in Melbourne and started laying down barrels of spirit a decade ago, it was always his intention to make good Australian whisky that was also accessible. That’s why, in 2013, when he launched his first product, a single malt called Solera, aged in old fortified wine barrels, he charged $79 for it, much less than the Tasmanian single malts that were attracting worldwide attention at the time. Rather than just produce small batches of malt that the whisky geeks bought for special occasions, Vitale wanted to create a brand that stayed in the everyday whisky drinker’s “sharing cabinet”, alongside the scotch and bourbon and Irish whiskey. The problem was that the economics didn’t stack up. This is one reason why the new Two-Fold whisky sits at 40 per cent alcohol by volume, as opposed to Solera’s at 43 per cent. 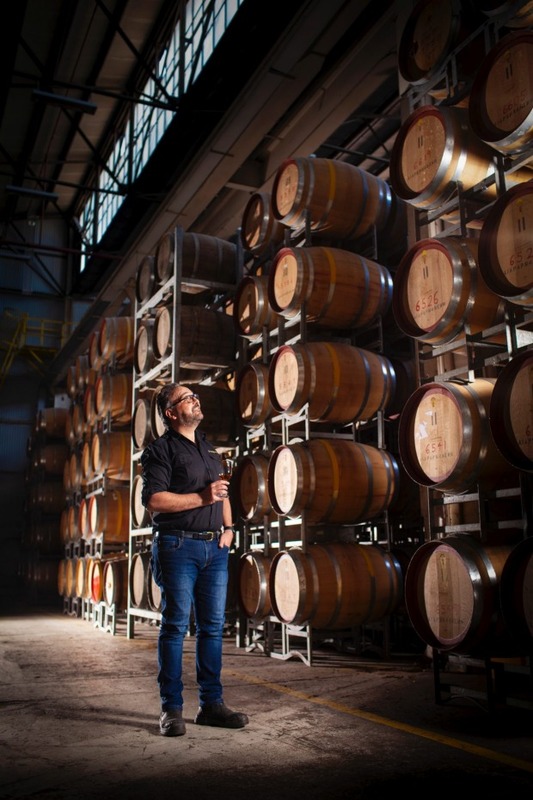 Scaling up production to bring costs down is one way of countering this, of course, and that’s exactly what Starward did in 2016, when the distillery moved and expanded into new premises in Port Melbourne, facilitated in part by investment from Distilled Ventures, a venture capital business backed by global drinks giant Diageo. Vitale says the distillery is now on track to produce 500,000 litres of alcohol a year, with half that volume destined for the Two-Fold brand. Another way to address the issue of affordability is to think creatively about how the whisky is made, and develop another product to bring to market. 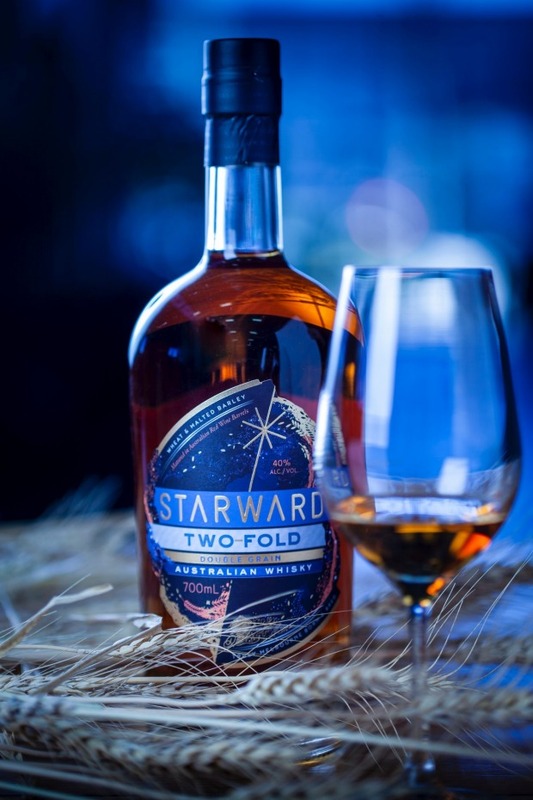 Starward Two-Fold is a blend of malted barley spirit and wheat spirit. As a result, Two-Fold is a blend of malted barley spirit and wheat spirit. Wheat spirit has another advantage, of course. It’s cheaper – or at least it is if you buy it in bulk, ready-made. Bearing all this in mind, I have a couple of quibbles with the new product – or, rather, with how it’s packaged. For a start, the label lists the two grains used to make the whisky as “wheat and malted barley”. According to Australian food and drink labelling conventions, this suggests that wheat is the primary ingredient, when in fact it’s the opposite: spirit distilled from malted barley accounts for about 65 per cent of the blend, and wheat only 35 per cent. Also, it says on the label that Two-Fold is “truly Melbourne born and bred” – despite the fact that a third of the spirit was distilled by another company in another state before being shipped to Port Melbourne and put into barrel for maturation at Starward. Vitale doesn’t have a problem with the wording. He points out, for example, that “99 per cent” of the ingredients of the prominent gin Four Pillars comes from somewhere else, but everyone associates it with the Yarra Valley, where the brand is based. As you can see, though, from my tasting notes, I have no problems at all with the liquid inside the bottle. In fact, I was surprised by how delicious and complex a whisky it is, given the price point. Starward has filled 6000 bottles of this first release of Two-Fold and hope that this quantity will see it through until Christmas. Vitale says he’s being cautious: it’s double the number of bottles of the inaugural Solera single malt Starward sold in its first year and, even though this new whisky is less expensive, it is in a more competitive segment of the market, sitting alongside much larger-volume brands such as Glenfiddich, Glenmorangie and Glenlivet (“all the entry-level Glens”, he says). True. But I think Two-Fold is good enough, and distinctive enough – and priced well enough – to capture the imagination of drinkers in Australia and overseas (the brand will be exported to the United States from January). I think it’ll go off like the proverbial frog, and will – as the Starward founder hopes – elbow its way into sharing cabinets all over the place.